A face with round open eyes and a round open mouth. 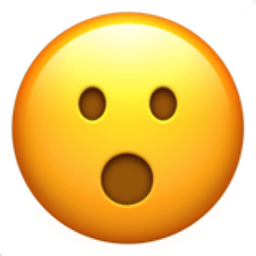 This emoji is not quite astonished, but is surprised, impressed, and/or shocked by what they are witnessing. Think, wow. This emoji first appeared in OSX / iOS after the iOS 6 update.